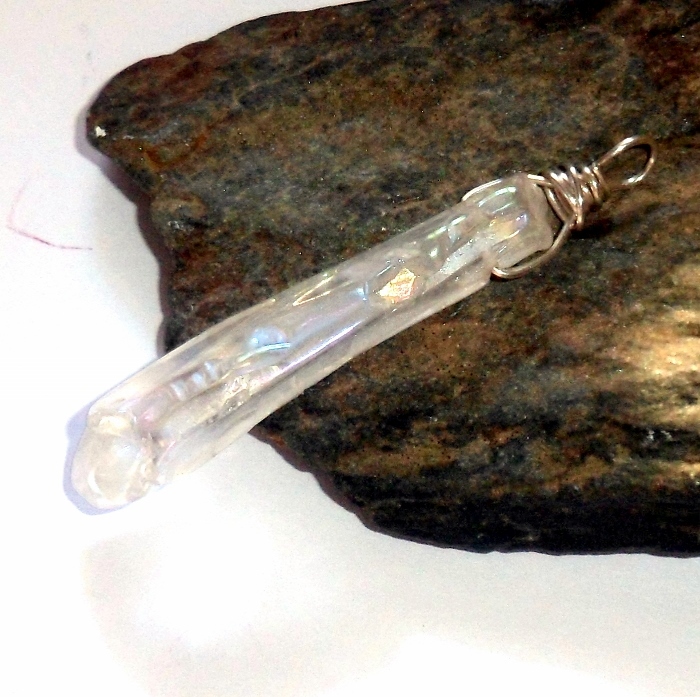 Angel aura quartz pendant finished with with a sterling silver wire wrapped bail. 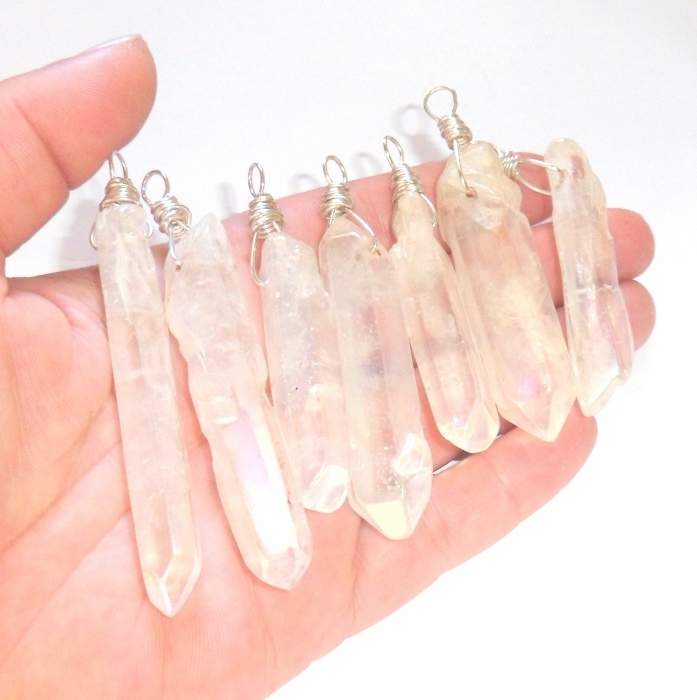 Angel Aura Quartz is created by both nature and science. A fine layer of platinum or silver is permanently bonded to top grade clear quartz and the result is a iridescent flashes of color. These stones have very intense metaphysical properties and a high vibration and even small points are very helpful to aid your spiritual growth. Angel aura quartz is likened to the gossamer of angel winds and has a connection to spiritual entities. 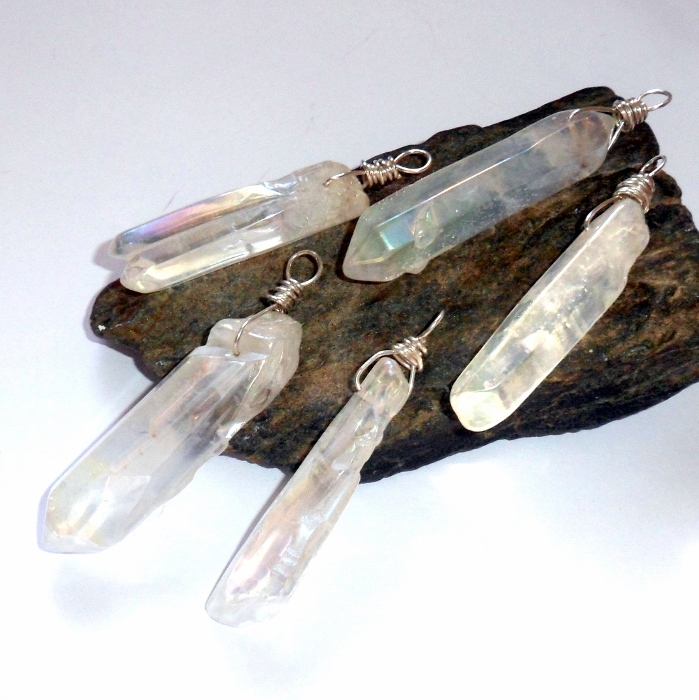 Angel aura quartz pendants range from 2 1/2 to 3 inches long.